The STRAUS project aims at introducing a reliable unified pipeline for the in silico evaluation and comparison of 3D speckle tracking solutions. This effort started with the organization of the Motion Tracking Challenge at MICCAI 2012, where a new pipeline for the simulation of 3D ultrasound recording was developed and used to contrast five motion tracking solutions from 5 leading groups in the field. 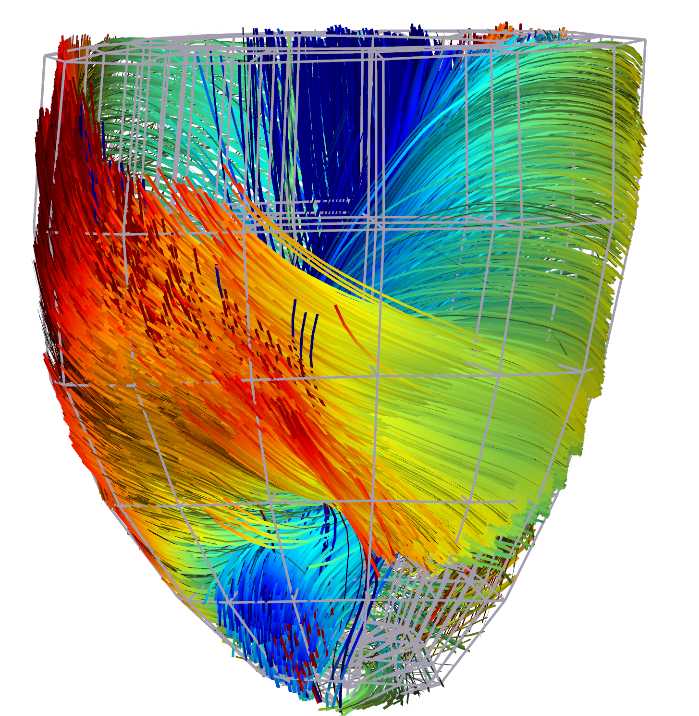 The simulation pipeline combined state of the art solutions in the fields of electromechanical modeling and ultrasound simulations to obtain realistic motion patterns and speckle properties. Results of that comparison study are reported in  and more extensively in . For a description of the simulation framework see  and . The new pipeline was used to generate an initial library of 8 sequences including healthy and pathological cases. For each sequence B-mode voxel data, RF signals and ground truth meshes are made freely available for download (see below). Please note that the use of such data is citation-ware. Hereto  should be properly referenced. 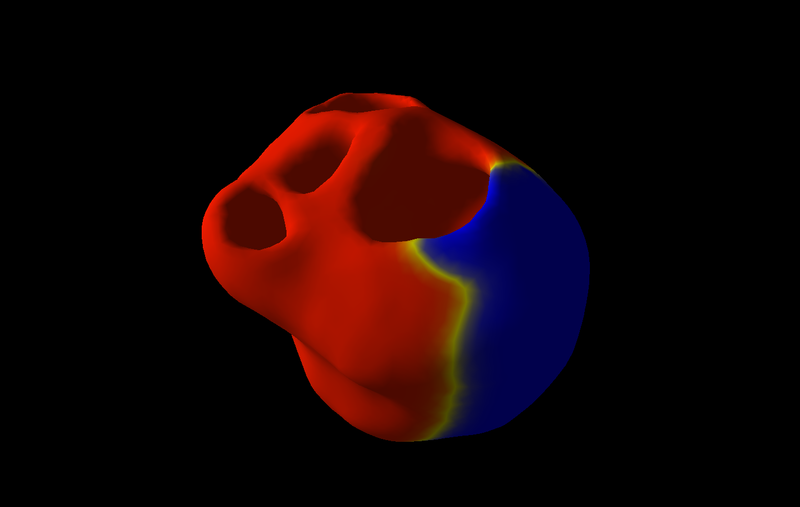 together with some MATLAB functions to read and align B-mode, RF and ground truth meshes. All data and routines can be downloaded here: http://www-sop.inria.fr/asclepios/data/STRAUS/. We have used the synthetic datasets to run a comparison study between 5 state-of-the art speckle tracking algorithms from academia and industry. The techniques considered are heterogeneous in terms of methodology (i.e. elastic registration vs. block matching vs. optical flow) and data used (i.e. b-mode voxel data vs. raw radiofrequency signals). The results of the comparison are reported in . The provided scripts should be used to benchmark new techniques and compare directly with what reported in . M. De Craene, P. Allain, H. Gao, A. Prakosa, S. Marchesseau, L. Hilpert, O. Somphone, H. Delingette, S. Makram-Ebeid, N. Villain, J. D’hooge, M. Sermesant, and E. Saloux, “Computational and Physical Phantom Setups for the Second Cardiac Motion Analysis Challenge (cMAC2),” in STACOM. New York: Springer, 2012, vol. 7746, LNCS, pp. 125–133. 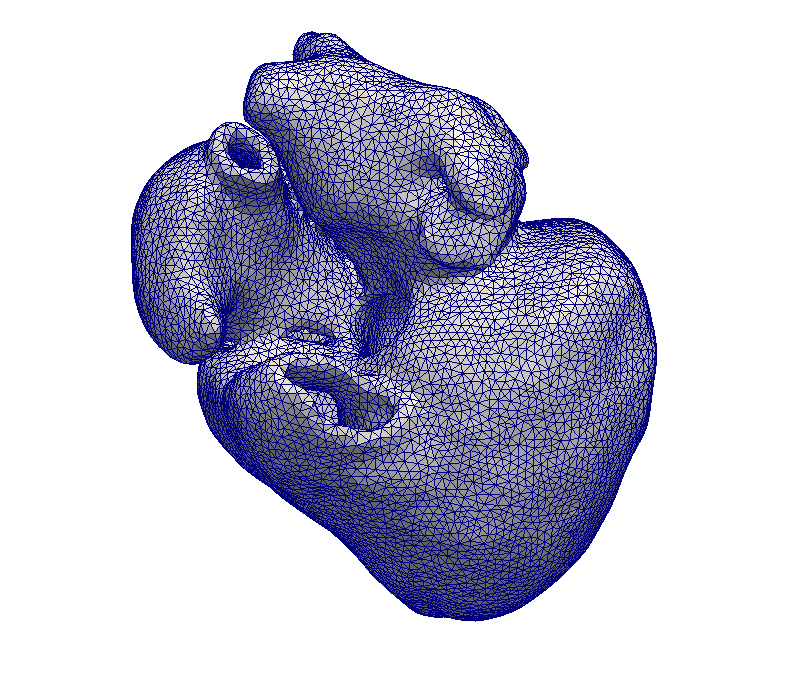 Alessandrini, M.; De Craene, M.; Bernard, O.; Giffard-Roisin, S.; Allain, P.; Weese, J.; Saloux, E.; Delingette, H.; Sermesant, M.; D’hooge, J., “A Pipeline for the Generation of Realistic 3D Synthetic Echocardiographic Sequences: Methodology and Open-access Database.,” Medical Imaging, IEEE Transactions on, in press. M. Alessandrini, B. Heyde, S. Queirós, S. Cygan, M. Zontak, O. Somphone, O. Bernard, M. Sermesant, H. Delingette, D. Barbosa, M. De Craene, M. O’Donnell and J. D’hooge, “Detailed Evaluation of Five 3D Speckle Tracking Algorithms using Synthetic Echocardiographic Recordings”, accepted for publication in IEEE Transactions on Medical Imaging.